2017 has been, all up, a pretty great year for comic books. DC Comics ran high on their well-judged and hugely enjoyable DC Rebirth books, Valiant made huge strides in varying their titles and publishing a constant stream of fun, smart four-issue miniseries, and Image and Boom Studios ran neck-to-neck in launching interesting and inventive creator-owned books. Really the only publisher to struggle this year seems to have been Marvel who, despite some stand-out books, have found it very difficult to relaunch its books in a manner that actually grabs audiences. The current spate of new books are almost entirely scheduled for cancellation next March. Under the cut are the books that grabbed my attention the most in 2017. To qualify, I had to have read three issues in the past 12 months. Some are returning to my Top 10 from last year, while others are new entries. It was actually very hard this year to whittle the year's best list down to just 10 books. I've added a few runners-up just to give them their due. Batman (DC Comics) bounced back and forth in 2017. When it was at its best, it was better than any other superhero book this year. When it wasn't hitting those highs, it slipped a bit to simply being a solidly entertaining book. The last few issues have been particularly strong, however, suggesting it may hit the main list next year. Jonathan Hickman and Tomm Coker have cooked up a marvellous blend of secret history and occult horror with The Black Monday Murders (Image). While the book suffered long delays, it was well worth the read when each extra-length issue arrived. Captain Kronos: Vampire Hunter (Titan) was a complete surprise: a spin-off from a 1970s British horror movie, it didn't seem at first to be a book worth following. The hiring of creatives Dan Abnett and Tom Mandrake, however, knocked it sky-high: deliberately old-fashioned and hugely entertaining. A high school student and his friends take on a local mob boss when a classmate is killed, in James Venhaus and Pius Bak's excellent Night Owl Society (IDW). Strong dialogue and character was matched with great and distinctive art, and while the final issue felt a bit of a let-down, it was more than compensated by the first two parts. 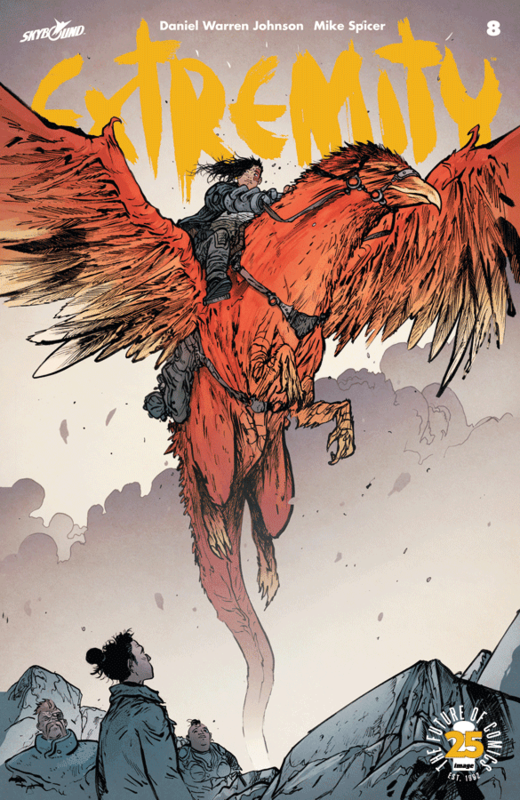 The Power of the Dark Crystal (Archaia/Boom Studios) just edged Captain Kronos out to be the best licensed book of the year. The original film of The Dark Crystal is so beloved - by me included - that the idea of a comic book follow-up felt like a huge creative risk. It's excellent: the script by Simon Spurrier is based on an unproduced movie sequel and nails the tone completely. Tasked with rebooting the old Wildstorm Universe for DC Comics, Warren Ellis came up with The Wild Storm (DC Comics), a 24-issue epic that re-imagines and re-works a whole range of characters into one huge narrative of secret organisations and runaway technology. 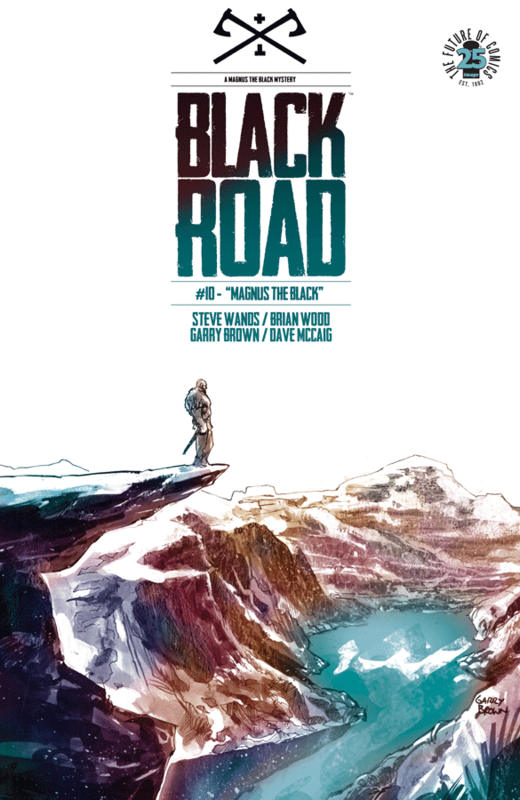 Jon Davis-Hunt's artwork has been exceptional in this, and each issue has built on the last. Image. Written by Brian Wood. Art by Garry Brown. Colours by Dave McCaig. Marvel. Written by Brian Michael Bendis. 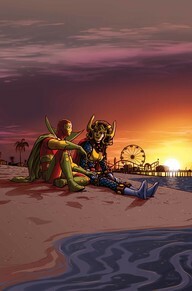 Art by Sara Pichelli, Mark Bagley, Justin Ponsor, Elisabetta D'Amico, and John Dell. 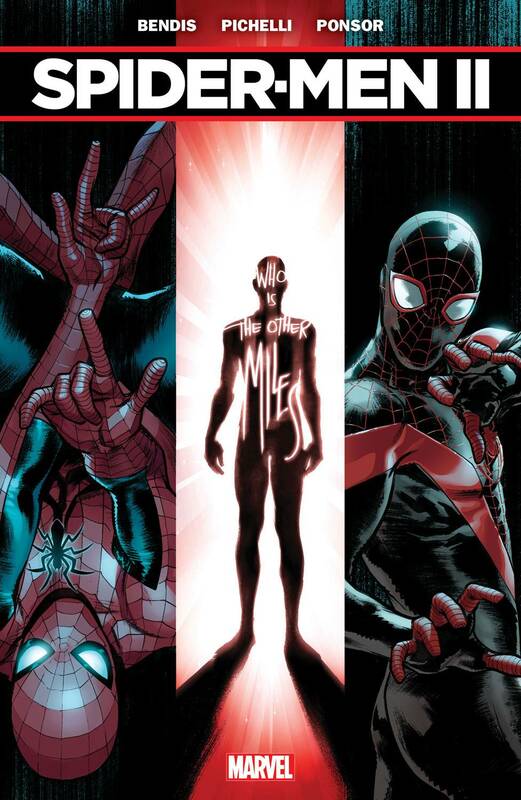 With Brian Michael Bendis jumping ship from Marvel to DC in 2018, Spider-Men II really came to fell like his emotional sign-off: taking the two characters - Peter Parker and Miles Morales - with whom he seemed the most connected, and giving them a huge chunk of narrative closure. 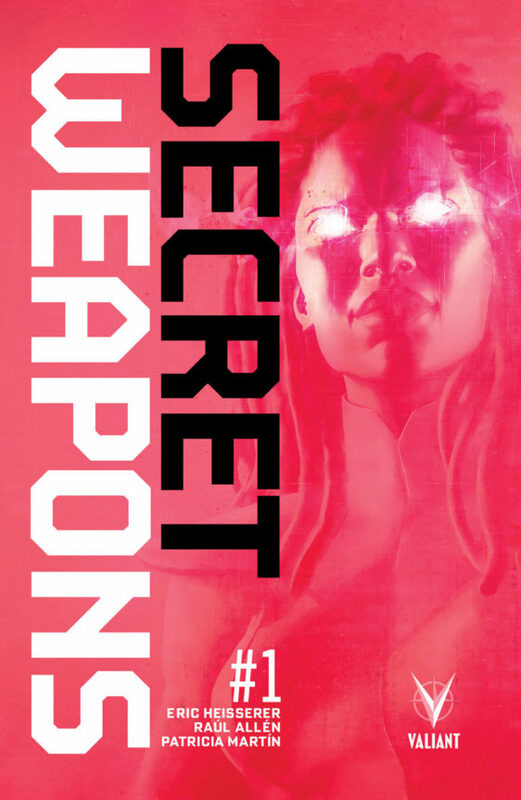 In true Bendis style the storyline was relatively slight over its five issues, but the character work and dialogue was superb. Bendis is going to leave an emotion hole in the Marvel Universe when he's gone. Dark Horse. Written by Brian Wood. Art by Andrea Mutti. Colours by Lauren Affe. Historical drama remains a rare genre for comic books, which is a shame because comics seem like one of the formats that would present history particularly well. 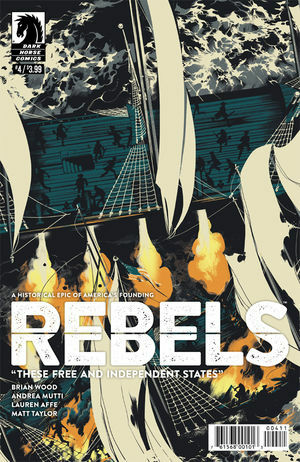 Brian Wood had prior form with it thanks to his excellent Vertigo series Northlanders some years back, and this second volume of Rebels continues to develop his skills for finding human drama inside the past; in this cast the American Revolution and its surrounding decades. The primary story of shipbuilder Seth Abbott was a great one, and the subsequent one-shots provided additional depth and tone. Fingers crossed Wood writes a third volume soon. Dark Horse. 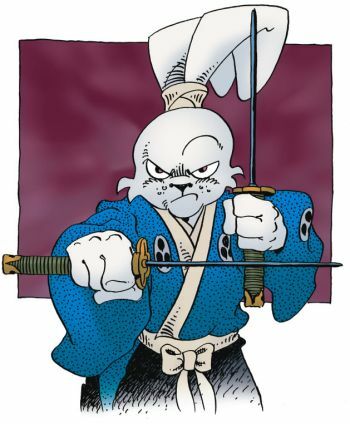 Story and art by Stan Sakai. If you have an interest in writing for comic books one day, or drawing them, you should already be reading Usagi Yojimbo. It's never a flashy book. It never undertakes attention-grabbing stunts. All it presents are well-plotted, simply adventure and mystery stories in a feudal Japanese setting, told via clean black and white artwork using anthropomorphic characters. 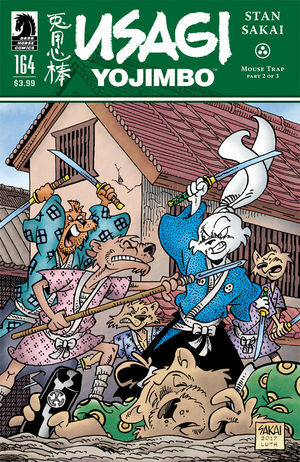 It's an utterly charming book, and creator Stan Sakai writes and illustrates each issue in such a manner as it seems easy and flawless. This is the book the American comic book community take for granted. Valiant. Written by Matt Kindt. Art by Tomas Giorello, Renato Guedes, Clayton Crain and Doug Braithwaite. 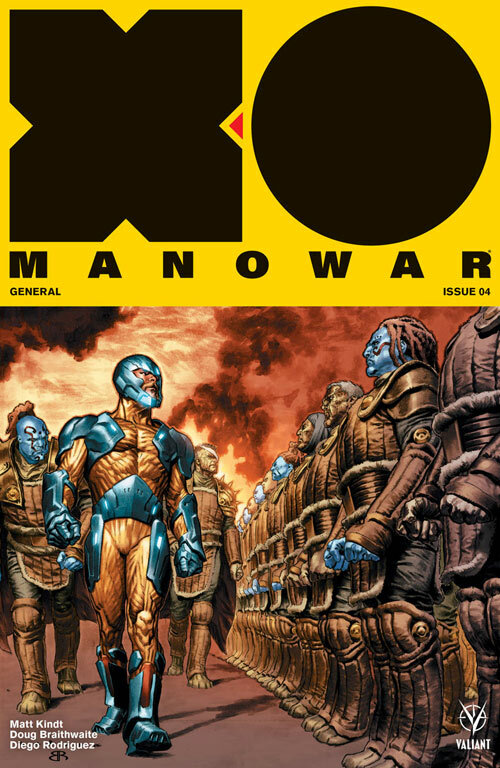 Writer Matt Kindt and a sensational group of rotating artists gave Valiant its best ongoing title in 2017, taking X-O Manowar - a barbarian from ancient Earth who wears a super-advanced alien power suit - and throwing him into a revolution on another planet. It was hugely reminiscent of Greg Pak's legendary "Planet Hulk" arc over at Marvel Comics, but found its own style and identity, and approached the idea - a hero going from slave to soldier to king - with a far more epic and sophisticated approach. The artwork looked tremendous every month. It is a poster child for how Valiant works: taking pre-existing characters and shaking them up in fresh settings and new genres. Image. Written by Kieron Gillen. Art by James McKelvie. Colours by Matt Wilson. 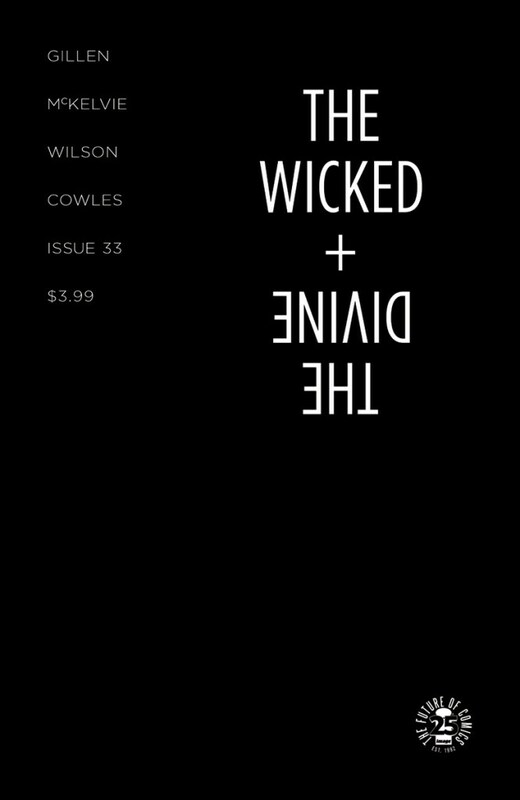 In 2017, The Wicked + the Divine hit was seemed to be its catastrophic end game - and then kept going. That push into uncharted territory allowed the relationships between the series' protagonists to disintegrate even further than I had imagined they would. Jamie McKelvie's art continues to showcase tremendous and subtle emotions among them. There is no other comic book on the market that presents such an authentic and energetic pop music sensibility, and if the rumours are true that the series really is ending in 2018 there's just a bit more time to see how deep the apocalypse goes. The creatives behind last year's The Sheriff of Baghdad re-team for a very different book, taking Jack Kirby's New Gods characters and revisiting them in challenging and striking ways. It is actually quite surprising just how much latitude DC appears to have given King and Gerads to tell their story. This is a complex, artful, adult story that pushes the New Gods into what feels like genuinely new and disturbing territory, and uses as its "in" two of Jack Kirby's best: Scott Free and Barda. To date we're not quite halfway through the series, but thus far it's been incredible. Boom Studios. Written by Jackson Lanzing and Collin Kelly. Art by Marcus To. And as one excellent maxi-series begins, another came to an end. 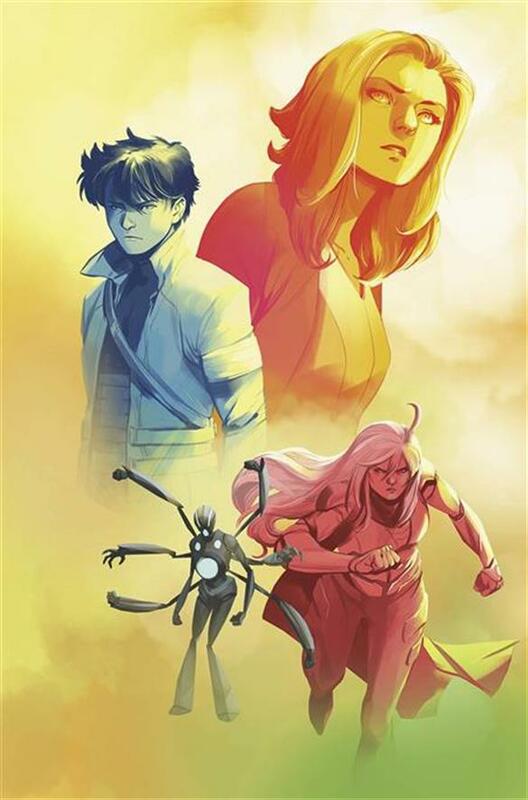 Joyride published its final three issues back at the beginning of the year, wrapping up a 12-issue science fiction epic that was rich in characters and ideas, moved like a freight train and just felt like a perfect teenage sci-fi adventure. It was also a series that really felt like a book of two halves: the first set everything up and made it feel like everything could happen, while the second brought it all back down to Earth and to an unexpectedly natural and satisfying finish. Despite that, I still hope for a sequel series some day soon. Fingers crossed. Valiant. Written by Eric Heisserer. Art by Raul Allen. This was quite simply the most enjoyable superhero comic book of the year. A four-issue miniseries, it took a small group of new heroes with ridiculously specific and small-scale super powers and threw them into their first perilous adventure. Sure, we all love Superman or Iron Man - but what about a hero whose power is to turn into stone? Not moving stone-strength, but literally just turn to stone? Or what if you could generate random objects out of thin air - but they were genuinely random inanimate objects? Perhaps you could talk to birds? Eric Heisserer writes a tremendous story with incredibly likeable characters, and combined with Raul Allen's distinctive and fairly non-traditional superhero art it shaped up to showcase a world I desperately want to revisit soon. The trade paperback is out now and it's inexpensive. Check it out. Image. Story and art by Daniel Warren Johnson. Colours by Mike Spicer. Extremity hasn't simply told a story; it has created a world. Daniel Warren Johnson's stunning science fiction/fantasy blend has revealed an evocative and imaginative post-apocalyptic world in which a story of broken families and futile revenge has been playing out. The characters are sensitively drawn. The plot has been fast-moving and dramatic. The art has been sensational, like a scratched-up remix of Hayao Miyazaki's Nausicaa. My favourite comics are the ones that fully pull me into a strange world. Extremity does exactly that, making it my favourite comic book of 2017.